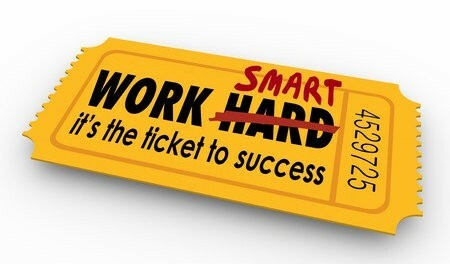 Working Smart is a way of life for some people, but it can be difficult to understand the concept. To help you understand how to work smart here’s a list of 11 tips. Before rushing into a job, a schedule or a meeting, stop, think and plan. Planning is key to working effectivity. Take time to consider the steps needed to finish a job. Write down the steps and tick off each one as you complete it. By having a plan and checklist, you can finish the job quicker. And if interrupted, you can quickly get back on track from where you left off. Plan your daily or weekly schedule in a way that you are working on the most important things first. The not so important things are the ones you can afford to let slip. So plan these for the end of the day or week. This way, if an activity takes longer than anticipated, the important ones are finished. For meetings, have a clear objective and an agenda in mind. Distribute the meeting purpose and agenda beforehand to all the participants. During the meeting, stay focused on the agenda and don’t allow any additions. This way the meeting is completed quickly and will have a clear outcome. Stay focused on your primary objective, don’t let the small unimportant things take up your time. So many people become buried and stressed out over a lot of small trivial tasks. Let these go; in business, the measurement of success and effectiveness is completing your primary goals and objectives. So concentrate on these first and foremost. At the end of your working day, you need some downtime. Switch off and get some rest and leave the alcohol alone as it interferes with normal sleep cycles. Your mind is like a muscle; it needs downtime to recuperate. By going through all your regular sleep cycles, you will wake up refreshed, mentally alert and motivated. The latter two are key to working smart. In the mornings, I’m more motivated and mentally alert than I am after five in the evening. People think multitasking is an efficient way of working. Newsflash, it’s not. If you’re working on multiple tasks at the same time, you’re not concentrating on one particular task. As you work on different tasks, your mind has to switch back and forth between each task taking additional time and mental power. Multitasking also increases your stress level which in turn decreases your productivity. Work smart by staying focused on one task at a time; you will be surprised at how much more you’ll accomplish in a day. 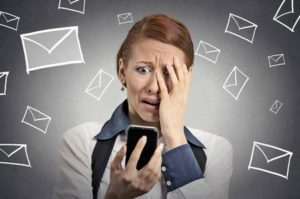 You may think it’s efficient to keep checking and replying to your Emails on your smartphone. In reality, you are creating more distractions and additional work for yourself. The quicker you respond to Emails; the more Emails you will receive. People are lazy by nature and would rather send an Email asking a question then researching the answer for themselves. Your quick Email responses may make you feel important, but you’re enabling this bad habit. Switch off your Email notifications on both your phone and computer. Respond to Emails twice a day, I respond to mine once in the morning and again at lunch times. If need be, create an Email auto-responder telling people just that. Teach people that your Email is not an instant messenger service. I’m amazed at how many managers don’t know how to delegate tasks. Even if you’re not a manager, you can delegate the smaller not so important tasks. Delegation is key to effectiveness, but you do need to learn to trust. Start by delegating small unimportant tasks to either your subordinate or Virtual Assistant. Each time they complete a task, and you build confidence in them, push their limits by giving them a job that a little harder the next time. You will soon learn their limits and will be able to gauge what you can and cannot delegate to them. It’s always best to have your customer calls go into voice mail. This way, you can find out what they are calling about, locate the information and call the client back. On your voice mail greeting, give your callers an idea when they can expect a call back from you. For example, have your voice mail greeting tell your callers you will return calls within twenty-four hours. But, make sure you do just that by return calls when you say you will. Set times in the day for returning calls, and set a time limit for each call. If someone else can answer the callers questions, forward the voice mail to that person, if your VM system has that capability. Alternatively, you can use a voice mail transcription service such as TalkScribe that will Email the voice mail as transcribed text. You can delegate returning the call to another person by forwarding the transcription Email. Another advantage of allowing all your calls to go into voice mail is you’re training your callers. Just like Email, if you’re always available to answer the phone, people will keep calling. Each phone call is an interruption to the current task at hand, and it takes more time to get back on track after an interruption. The less calls you answer and let go into voice mail; the fewer people will call you and the fewer interruptions you will have. 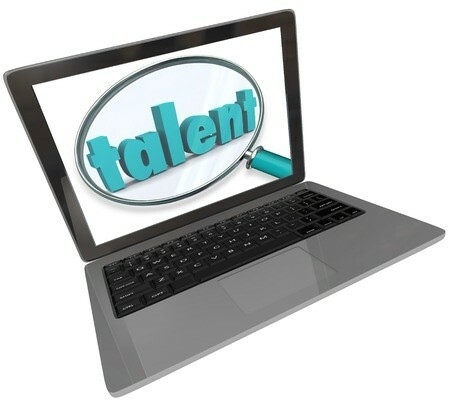 If you can’t delegate smaller or repetitive tasks to someone at work, hire a VA instead. VA’s, Virtual Assistants, are also useful for those tasks that are difficult for you. I know I’m not very good at graphic design, so I hire a VA to do it for me. Virtual Assistants are ideal for tasks requiring a computer. Some examples are administrative, bookkeeping, graphic design, translation, software coding, website design, SEO, document creation, replying to Emails, making and receiving phone calls and scheduling. Two types of VA’s are available, short term and long term. Short term VA’s are good for one-off jobs such as logo design. Here’re some sources for VA’s: short term; fiverr.com and upwork.com long term: mytasker.com and uassistme.co. It’s crucial to use the right tools to help you work both efficiently and effectively. Continuously look for new hardware such as gadgets and computers, new software and apps, and support services such as Virtual Assistants. Evaluate each new tool to see if it helps you work more efficiently or effectively. Because it’s the latest and greatest doesn’t mean it will be beneficial in the long run. Here are two examples: In 2003, I bought my first GPS. It was a good buy because it saved me time in not having to look up directions, and it prevented me from getting lost which is something that happened frequently using maps and directions. Apple introduced the Ipad in 2010. When I looked at it, I thought it was an excellent well-designed gadget. After looking further at it, I decided it was not the gadget for me. I needed a keyboard, and the coding software I use was not available. I would be carrying around an extra piece of equipment if I brought it. You can’t get to and do everything on time, so don’t try. In your plan, make sure you have prioritized the right and important things to do first. You can let the not so important things slip if you run out of time. Yes, you may upset someone. But, you have to let this happen to accomplish the right things at the right time to be effective. Downtime is essential to your mental well-being. Downtime is not the same as sleeping; it’s doing something different to free you mind from your day to day activities. Downtime can be seeing a new move, going camping, spending time with family or a loved one, sightseeing or doing anything that you don’t usually do during the work day. Make sure to plan downtime to keep you productive and thinking objectively. Do you have any tips for working smarter? If so, please leave a comment here at the end.